Ah, new puppies… so adorable, yet so misbehaved. As many dog owners have learned, when you bring a young dog into your home training is an absolute must. It isn’t just about having a dog who listens to your commands, training helps your pal be a confident and capable companion for their whole life. But, like children, teaching young dogs can be a challenge. Here are 5 simple, foundational tips to help you guide your new puppy into being the best boy on the block. Keep it Short. Sessions should be about 10-15 minutes long and you can eventually work your way up depending on your pup’s eagerness to learn. Try working on things like ‘sit’, ‘stay’, and ‘come’ for starters. Keep it Sweet. Positivity is key. Always positively reinforce your dog’s good behavior with praise, pets, or treats rather than marking their negative behavior by yelling or exhibiting negative body language. Keep it Consistent. Whatever you expect from your little buddy, make it clear by being consistent – always correct their bad behavior with a stern “uh uh!” and redirecting their focus on something positive. Keep it Cool. Be patient, both with yourself and your new pup. If it’s obvious neither of you are having fun, call it day and vow to work on a single command for only 5 minutes next time. This is about bonding with your dog too, so don’t be hard on them. Train Yourself First. Enrolling in training classes are a wonderful way for you to learn how dogs respond best and how to keep control of your new pal as they get bigger. It also adds a dash of socialization to your puppy’s life! 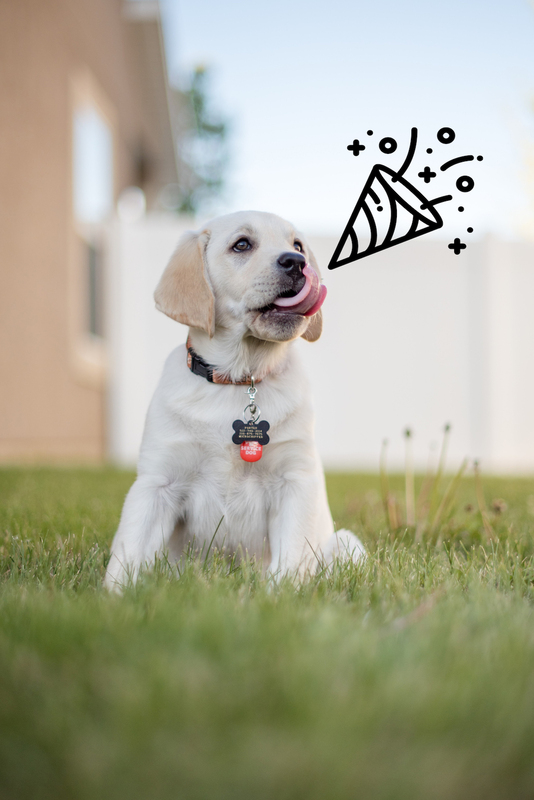 If you rang in 2019 with a new puppy, we hope you learn to love training and teaching them! It’s truly one of the best ways to enrich your bond – if you can stick with it, you’ll have one of the best buddies you could ask for! Tell us more about your puppy training tricks and experiences on Facebook!